The Taco Plate will revolutionize Mexican meals with your family. Once you have used The Taco Plate, you will not be able to return to normal flat plates. The Taco Plate holds three (3) hard shell or soft shell tacos upright, making your tacos easier to fix and easier to eat. 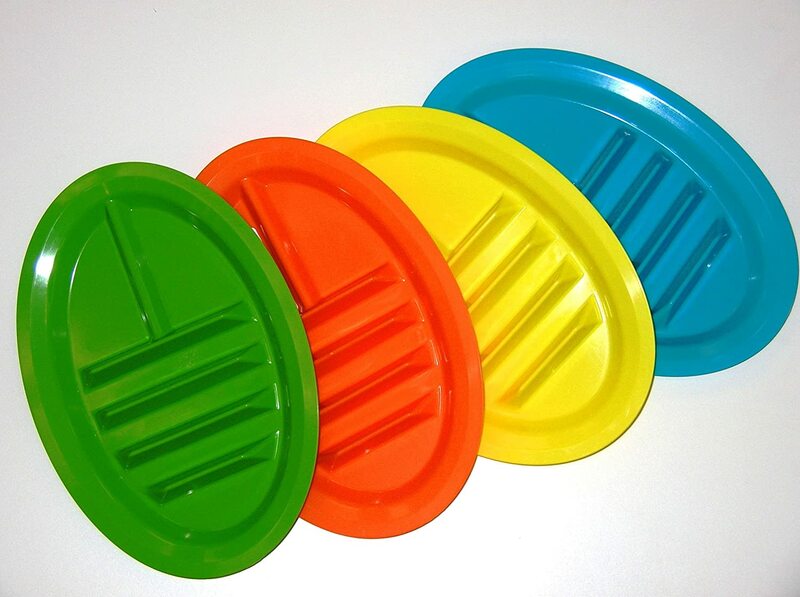 The Taco Plate is dishwasher and microwave safe and will last your family for years. Not only does The Taco Plate allow you to eat your tacos more effectively, the sturdy design allows you to fix your tacos directly on the plate so you don't burn your fingers or spill your tacos. The Taco Plate is also grease and stain resistant. Don’t spill your tacos! Set of four unique plates, each measures 8.75″ x 13″. Sturdy, stain- and grease-resistant plastic. Holds three hard/soft shell tacos, plus beans, rice and salsas. Great for outdoor parties! Unique gift idea!